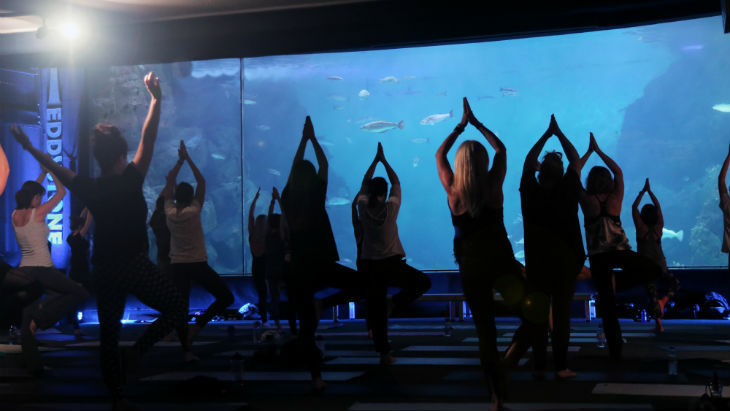 On Monday September the 17th we’ll be holding our next Yoga Wellbeing Event in partnership with Nuffield Health Plymouth Fitness and Wellbeing Gym. Come along to try something brand new with no prior experience necessary. Or, if you’re already a acquainted with yoga, how about trying this out in a brand new environment which is both unique and perfectly-fitted for wellbeing. Our huge Eddystone Reef tank will be the backdrop to this one-hour session, filled with dozens of local marine species. The window to Eddystone is the largest viewing panel in the UK, and is like a large cinema screen looking into this wonderful underwater world. Calm your mind, body and soul with this soothing experience and alleviate the stressors of daily life. 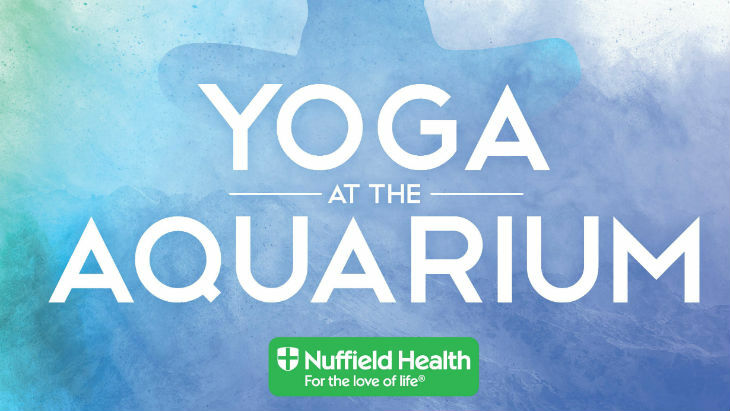 In line with our other Wellbeing events with Nuffield Health; Body Balance and Pilates, this Yoga session will allow you to unwind, relax and exercise, and follows on from our prior research that visiting public aquaria helps with relaxation. If you’d like to try out all three of these sessions, you’re in luck! After this month’s Yoga, we’ll be running Body Balance on October the 17th, and finally Pilates on November the 19th. This is an over 16’s event, with all abilities welcome. The event runs from 6-7pm. Tickets are only £5 and can be booked here.